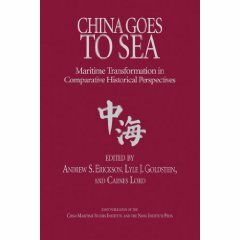 Andrew S. Erickson and Lyle J. Goldstein, “Studying History to Guide China’s Rise as a Maritime Great Power,” Harvard Asia Quarterly, Vol. 12, No. 3-4 (Winter 2010), pp. 31-38. After six hundred years of Western dominance on and Chinese retreat from the world’s oceans, the tides of maritime history are returning to the east. While the U.S. Navy is diminishing quantitatively and European naval powers are in substantial decline, the nations of northeast Asia—with China foremost among them—are prioritizing naval and commercial maritime development. China’s maritime potential, while clearly growing, is being debated intensively in Beijing. 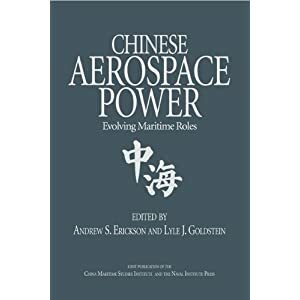 After almost six centuries of introversion, invasion, and quasi-colonization, that suppressed potentially advantageous developments in the maritime direction, China is reemerging as a commercial, military, and even ideational maritime power. Yet the dimensions, objectives, and course of this major phenomenon, which has significant implications for East Asia and the world, remain unclear. 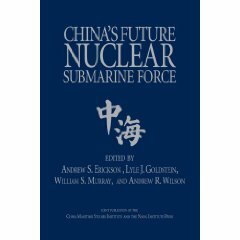 Mounting evidence suggests that purposes and prioritization of maritime development, particularly concerning the purposes and priorities of China’s future military development, is the subject of major domestic debate. 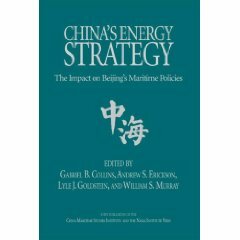 The People’s Liberation Army Navy (PLAN) leadership and maritime industry players are naturally strong proponents of China becoming a major maritime power. Elements of the other PLA service branches and non-maritime interest groups, by contrast, tend to be less certain if not opposed. Representatives of all ‘factions’ of this debate seek historical lessons and present-day phenomena to bolster their arguments. Rather than representing a definitive break with China’s continental past, this is the first time in the history of the People’s Republic of China (PRC) that a ‘maritime faction’ truly has a chance to influence national policy. Clearly China is moving increasingly in the maritime direction, and many relatively low cost measures have been implemented. The real question is to what extent more ambitious (and potentially expensive and provocative) maritime and naval initiatives can prevail in an environment of scarce resources and competing policy priorities. At the center of this policy debate is the question of whether China, conventionally viewed at home and abroad as a continental power, can transform itself into a continental-maritime power.